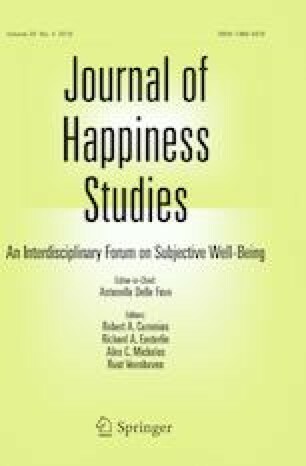 Does income inequality matter for subjective wellbeing? Using data from 5945 individuals residing in 182 villages in rural areas of 21 developing countries, we test the relative importance of income inequality measured at different levels (country and village) in subjective wellbeing. Country-level inequality might increase subjective wellbeing because it signals potential upward mobility, whereas village-level inequality might exacerbate negative effects of local peer-group comparisons on subjective wellbeing. The two measures of income inequality are not correlated, supporting the intuition that these variables might capture different aspects of income inequality. Although we observe broad patterns that suggest inequality measured at different levels might have associations with subjective wellbeing, and with potentially differing signs, the low magnitude of these associations and their weak statistical significance do not provide enough evidence to support the argument that the level at which income inequality is measured explains overall patterns of subjective wellbeing. Our results therefore leave open for future research the question of what underlying forces might account for these observed patterns. Data for this article were collected under the framework of the PEN project (http://www1.cifor.org/pen). We are grateful for financial support during data collection from CIFOR, ESRC-DFID, and Danida. We acknowledge financial support for the writing stage from the program “NILS Science and Sustainability” (Grant number: 014-ABEL-IM-2013). Thanks also go to Resilient Dry Land Systems, ICRISAT-Patancheru for providing office facilities to Reyes-García. This work contributes to the “María de Maeztu Unit of Excellence” (MdM-2015-0552). Brodeur, A., & Fleche, S. (2012). Where the streets have a name: Income comparisons in the US. Available at SSRN: https://ssrn.com/abstract=2149727 or http://dx.doi.org/10.2139/ssrn.2149727.